TO GET STARTED SELECT YOUR BUILD STYLE. 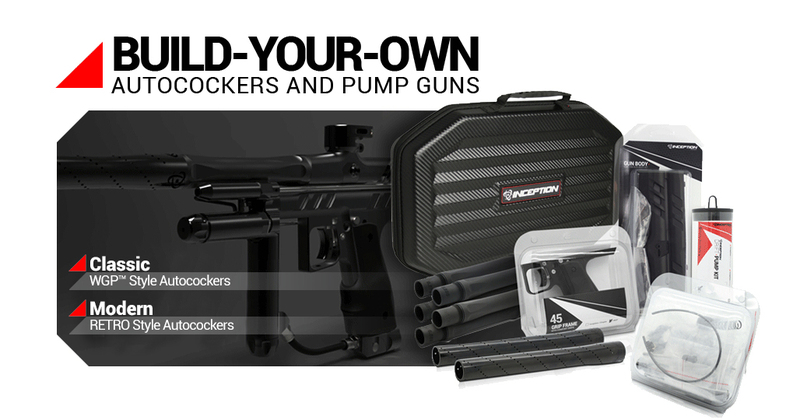 Have you ever wanted to build your own Autococker or Pump Gun? ordering and customizing the parts required for building your gun. Here are some frequently asked questions that might help. You already have some parts? No problem you can just order the parts that you still need. How do I assemble the parts once I have received them? I have an oldschool autococker that I want to get working again. 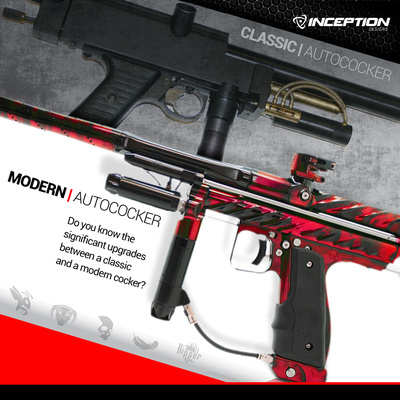 building or updating an oldschool autococker with modern Inception parts. I have a Shocktech, KillShot Kustoms, Niche, Meteor or Blizzard body kit, can I use Inception parts? do is email us and we will help work out what you can use. How do I build a custom anodized build? purchase most parts in RAW. When you select the required parts you will have the selection to purchase RAW. We recommend an anodizer in Maryland Precision Color Technique . The Classic "Build Your Own" Guide allows you to use your own WGP™ style 9/16 valve body or purchase one. This guide will show you all the parts that are required to complete your build. The guide is modularyou can purchase all the parts in the build kit or just the parts you need. Inception is the manufacturer of all the parts in the guide and those parts are stocked and supported by Inception and the Inception Dealer Network. The Modern"Build Your Own" parts and build guide allows you to use your own Modern RETRO style 11/16 valve body or purchase one. This guide will show you all the parts that are required to complete your build. The guide is modular you can purchase all the parts in the build kit or just the parts you need. 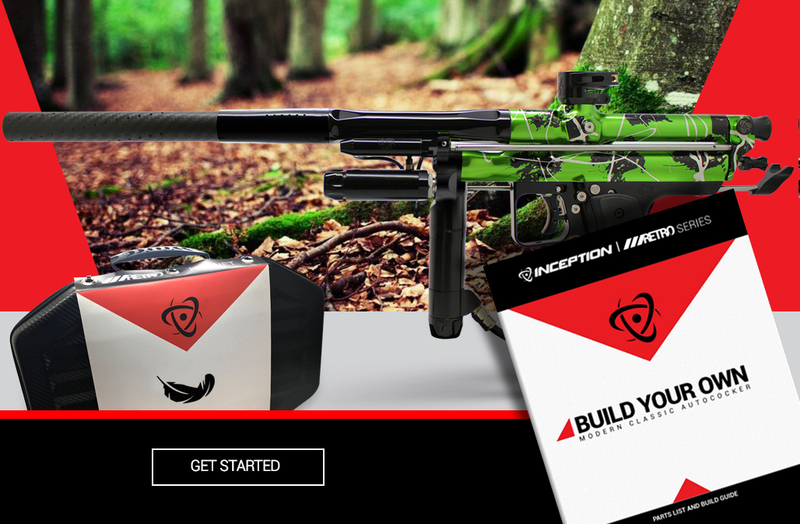 Inception is the manufacturer of all the parts in the guide and those parts are stocked and supported by Inception and the Inception Dealer Network. PBCalendar.com was started to be a listing of all events. The goal is with the visability of all events on a certain weekend promoters may choose to not overschedule a perticular weekend and help spread the events so players don't have to choose one over the other. Our road show travels to many event each paintball season. We usually have show specials, Most products are in the trailer stock so anything you might need should be available. The best way to see the newest product is to see it in-person at one of our attended events. Simon Stevens attends and plays most events. Make sure to stop by the trailer if you are at an event with us. Head out to the field with Simon or just hangout and chat for a bit.